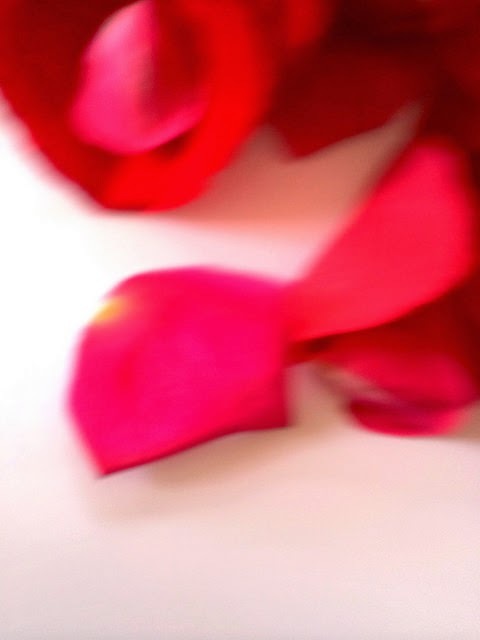 Today is the first of the month and I'm giving February a hearty welcome with a shower of rose petals. 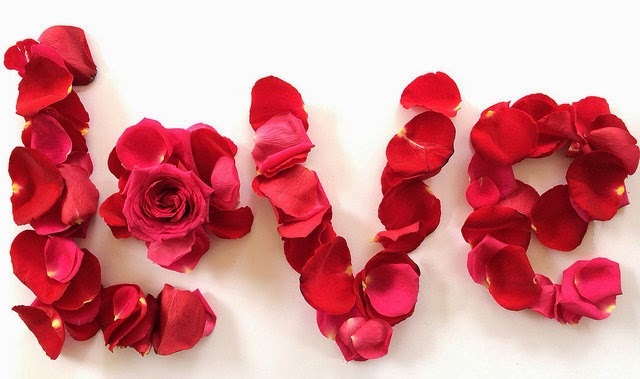 It's the month of Valentine's, after all, with it's romantic rosy ways and messages of love. I used the petals to make new little flowers. And then a heart, with a rose at it's heart. It made him laugh, in a lovely, hearty way. A little bit later he mowed the lawn. 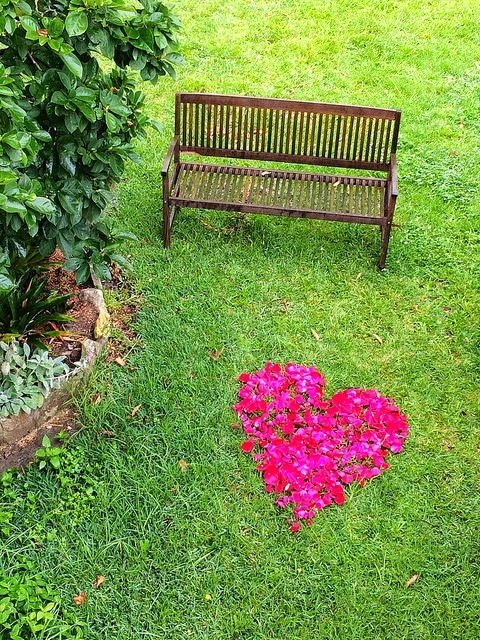 I like the idea that those whispering petals mingled with the grass to make to make our garden a little sweeter. So Happy February to one and all, and I hope this post is a friendly reminder to take time out to smell the roses. Gorgeous photos! You are a very talented girl. 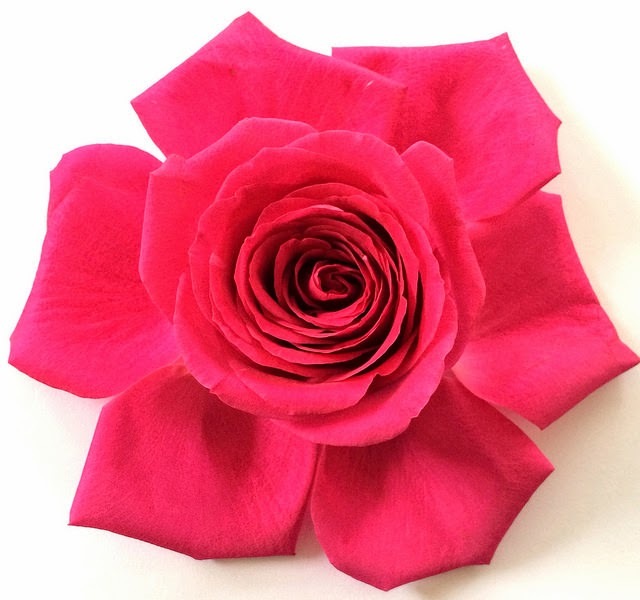 Love the little flowers you made from rose petals but your rose is perfect. The photos have cheered a very cold bleak winter evening. Now you are cheering everyone's day, not just mine!!! U go girl. Happy February, indeed! Lovely photos. 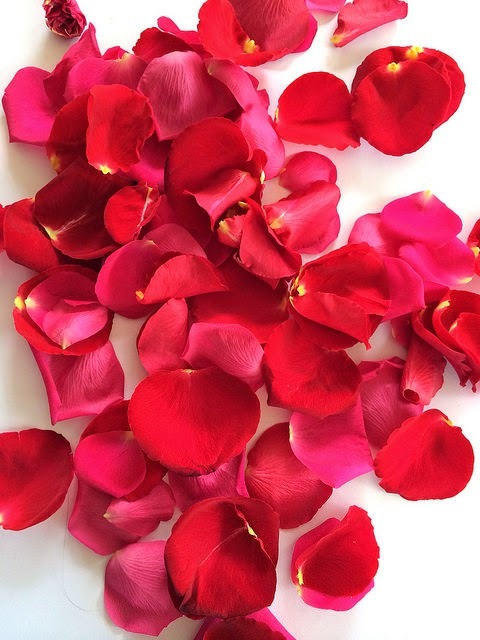 Rose petals have that velvety lusciousness making them hard to resist. I swear I could smell them through the computer! Obviously it wasn't a windy day. I think the unexpected gifts like your rose petal heart for Mr Daisy are sometimes are the most memorable and precious. 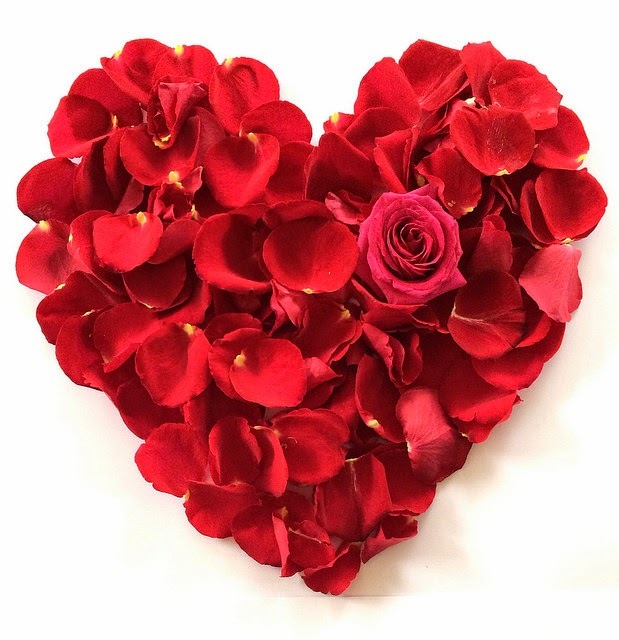 Beautiful rose petal heart! I need to do something like that for my husband! A post FULL of love! I love your term "floral whispers" Rachael! It would make a great name for a quilt! 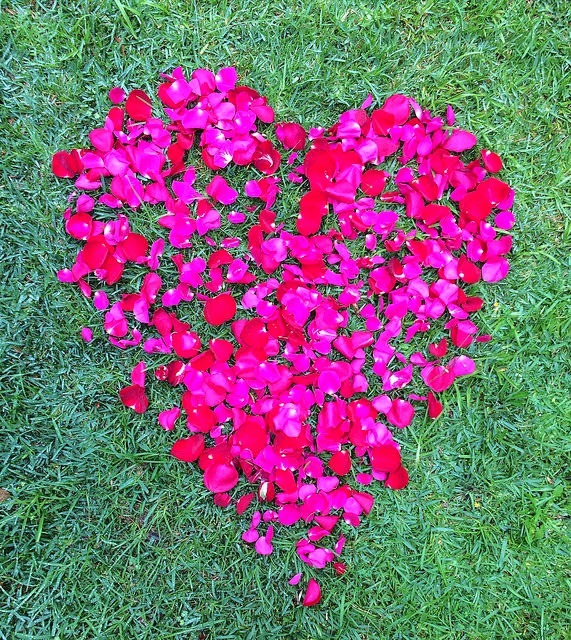 Happy Valentine's Day to you and enjoy that beautiful rosy lawn! And they are worth smelling every time! Love the heart on the lawn! Lovely photos for the month of February. Your playing was delightful. I hope you have time to stop for yourself this month. Thank Mr D for the laugh. A sort of compost of love. Love it, RD. 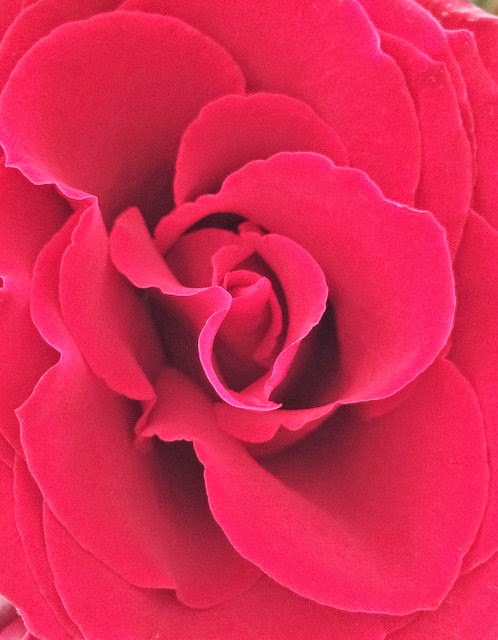 I'm not especially crazy about roses, but I do love touching their petals, so much like soft flesh. I hope Valentine's day is not too hectic for you -- you deserve a lovely & loving 1st married Valentine's day. Oh Rachael! You are something else! 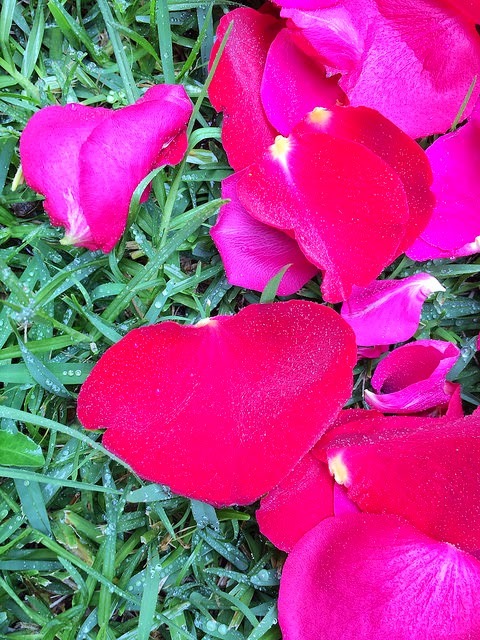 I love that bright red rose heart on the green grass! And what a sweet surprise for Mr. Daisy. I bet you two are just as cute as buttons :) Thanks for the smile, Rachael! happy february! just so pretty! You have been having fun. 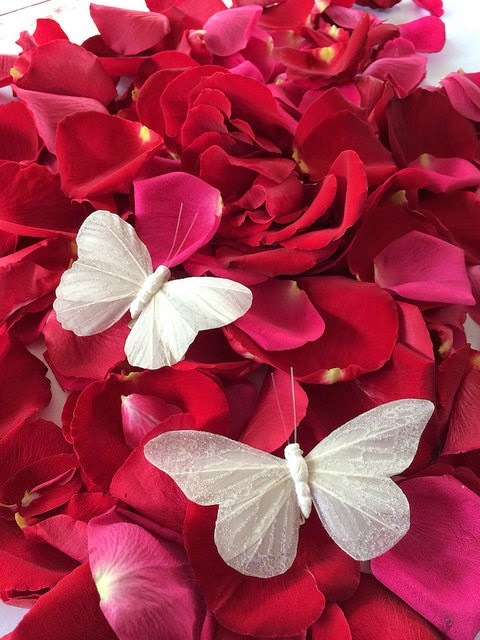 Who'd have thought that a bag of rose petals could be used so creatively. They all look so happy. Have a wonderful February. Thanks for your February greetings, it is my birthday month along with several family and friends along with being Valentine's Day. Such pretty happy pictures for out cold dreary day. I love your imagination! This post just made me smile at what a beautiful world we live in because there are such imaginative people in it. Thanks for getting my day off to such a wonderful start Rachael. Ah, yes, smell the roses. Thanks for the beautiful and happy reminder! Happy love month to you! Thanks for sharing such a LOVEly post. The rose petals just say Amore. Happy February to you and yours too! what a super sweet post. I loved your petal play and the flower valentine on the lawn. Happy Happy February! loved seeing your green summer grass. I cold almost smell the roses and grass...ah I needed that. with the grass clippings and that is NOT because I don't care for them :) It's just a lovely image of all the bits floating away........you are clever to have thought of it!! Happy February sweet Rachael! 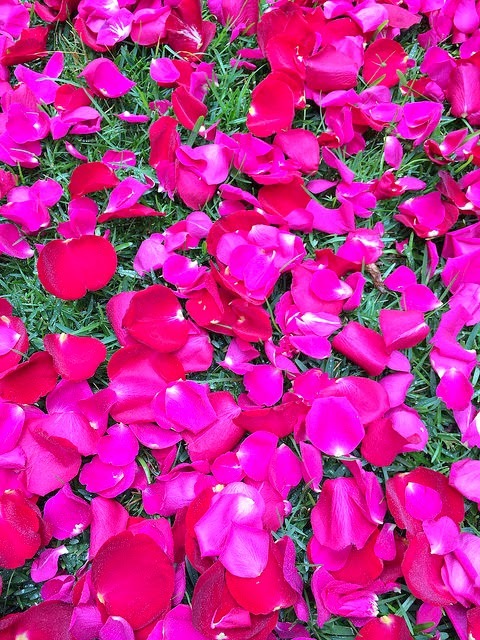 I love the idea of rose petals mingled with green grass. I enjoyed your petal play! Love the scent of a perfumed rose, too. This is a lovely start to February. LOVE IS IN THE AIR!! What a beautiful post! Happy February my sweet friend! Gosh, you found some really lovely photos. :) That was a nice smile! I especially love the one with the butterflies. Love that you finished up with a big heart in the grass just waiting for your husband. :) Perfect. Auguri anche a Mr Daisy! 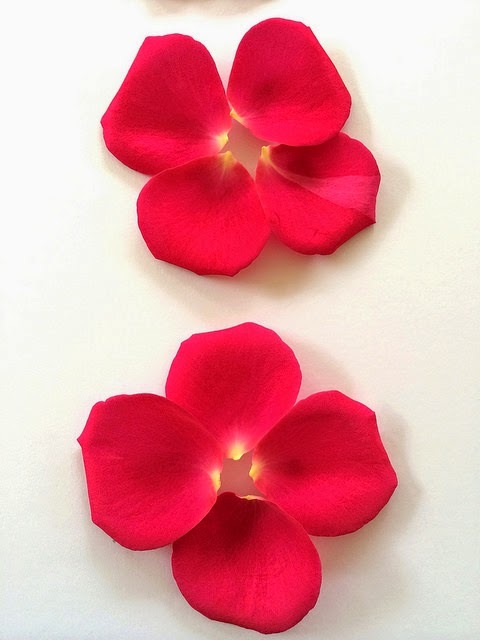 What beautiful velvety petals they are! What a fun post! Your blog always puts a smile on my face. Thank you ! You will be a very busy girl in just a few days ! Please show some of the arrangements you'll be making ! The petals on the grass is a really pretty picture ! Don't you just love roses! They can have such vibrant colors with the ultra soft petals. Great photos and thanks for the cheery post :-) My roses are starting to wake up and they're like good friends that I get to see and enjoy each year.